Grace Multimedia Ministry: operates under the Biblical principal of grace, looking only to the Lord for financial support. GMM will never solicit nor do anything to persuade a person to give to its ministries other than to inform of needs. How Can I Donate to GMM? Grace Multimedia Ministry is a Multimedia Christian ministry functions with a local Assembly designed to take both the Gospel and the teaching of God's Word to the people of India and South & East Asian Countries . 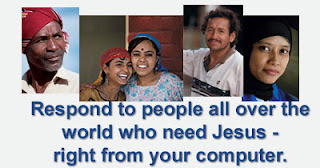 Making suitable and appropriate Gospel Materials for Muslim Community in all South East and Asian major languages.